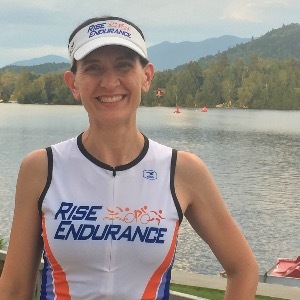 Joan Scrivanich is a Coach and Exercise Physiologist who works with both local and remote athletes. Coach Joan holds an advanced degree in Exercise Physiology from Columbia University, an Ivy League research university in New York City. She also holds the industry-leading Certified Strength & Conditioning Specialist (CSCS) certification from the National Strength & Conditioning Association (NSCA), the worldwide authority on strength and conditioning. Before becoming a full-time coach, she worked in the healthcare field. A positive attitude & willingness to work toward your goals. Communication & feedback are essential. HR, GPS, Power are beneficial, but not required. Success. Coach Joan Scrivanich has been notified of your message. To hire Joan Scrivanich as your coach, select the coaching service that is right for you.